It is time for another Gift Idea Tuesday and today I made Calendars! Do you realize that Christmas is 5 1/2 months away?! Not that far away so I figured I better start coming up with Christmas Gifts. I decided that Clearly Digi Stamps has so many cute digital images that would look terrific on a calendar that someone would be getting a calendar this year! Well, now that I got making them I think I'm keeping them...ssshhh don't tell anyone! 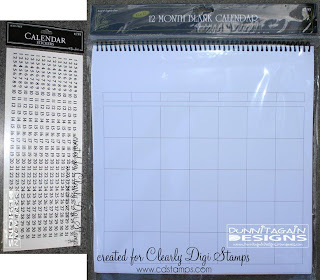 I went to the store and bought a 12 x 12 and 8 x 8 blank calendar. I also bought the number stickers to fit in the little boxes. 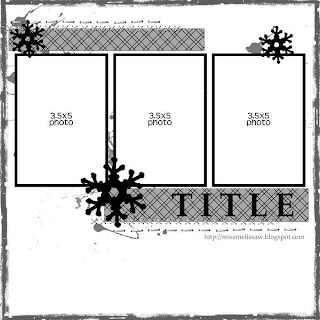 First I started with the traditional 12 x 12 Calendar and treated it like a scrapbook page. 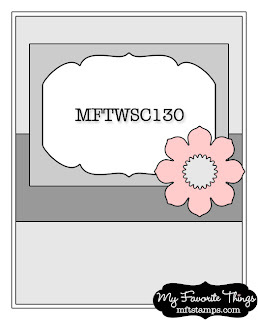 I used this sketch from my friend, Melissa W. See her sketches at her gallery on scrapbook.com or her new challenge blog, Simple Sketches. When I started out with wanting to make a calendar it was going to be a Christmas gift for some lucky family member. But when I started looking for photos I didn't have any that would work. I realized how neglectful I have been in taking photos. So that got me thinking....I will make it without photos and challenge my self to take photos that can fit into the layout. That way I will take more photos and have a scrapbook page done when that month is over. My plan is to cut that page off and stick it in an album when that month is over! 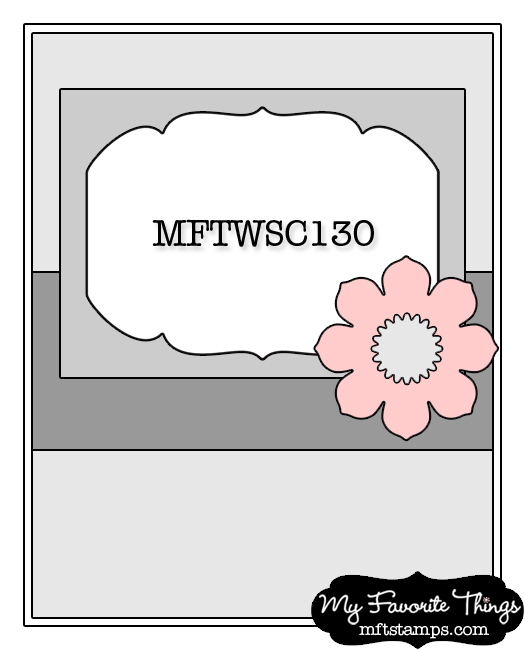 I also wanted to show that you can make a calendar without photos. If you can make a card you can make a calendar! I took this card sketch from My Favorite Things Wednesday Stamp Club Challenge 130 (MFTWSC130) and used it as my inspiration for the calendar page....it's just a big card front! I think I'm keeping the 8 x 8 for me to take to work next year! Much better then the free ones you get in the mail! I also made a card to show you how a card sketch can work for the calendar and a card! I just used the scraps left over from the calendar page so it worked out perfectly! Now I have one card done for Christmas too! Now, you want to know where the challenge is in this, right? I love how you used my sketch! Thanks so much for sharing and giving credit. What a beautiful calendar, Kathy! Hi Kathy -your calendar is just lovely and so is the Snowman Christmas Card - this is truly going to be a different route for me - this will be my first ever calendar. Thanks for the challenge and have a great week. Kathy this is something that I really wanted to try last year but never did get around to it. I did one for my mother in law about 3 years ago and never did I get around to doing one for my Mom or myself. So you have most definietly challenged me to give it a try. So I have to find a calendar template and get it printed and get to work on this. Hope to upload a project page for this challenge soon. It truly is a wonderful idea. Hugs.